Film is the only artistic form out there that can leave someone with a radically transformed view within 60 to 90 minutes as a result of what they’ve seen on the screen. I see film as being the most powerful of all artistic forms. 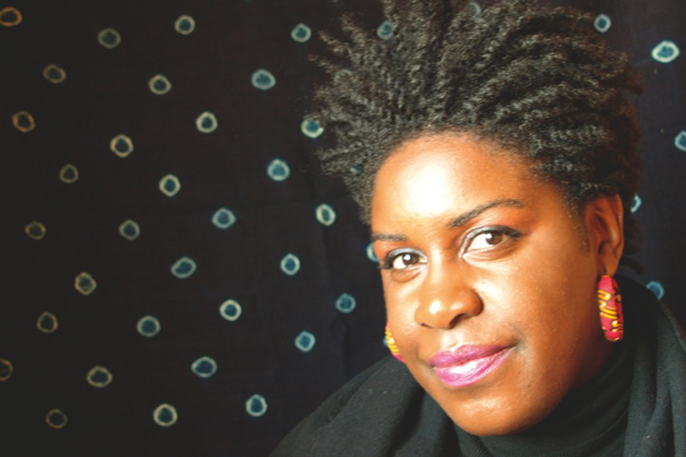 Nadia Denton has been at the forefront of the UK’s film industry for over ten years. Since founding the Black Filmmaker’s Film Club in 2003, Denton has turned her avocation into a full time career. With a background in community development, Denton has used her skills in marketing and promotion to champion independent films, acting as a consultant for the London Film School as well as directing and partnering numerous international film festivals. 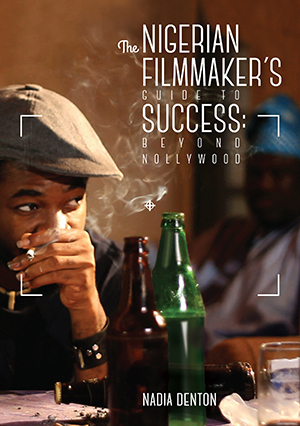 Her second book The Nigerian Filmmaker’s Guide to Success: Beyond Nollywood is to be launched as part of the BFI’s African Odyssey season this September. In a weekend of events, titled Beyond Nollywood after Denton’s publication, a range of new Nigerian films will be screened alongside a series of discussions with filmmakers and the author herself. Speaking to Denton about the weekend and her new work, I am curious what it means to ‘go beyond Nollywood’ and what it is about the film genre that inspires her. How would you describe the Beyond Nollywood weekend? It’s going to be a mixture of events; one of the key events is going to be my book launch. Obviously in the book I’m looking at new developments in Nigerian cinema which are quite distinct from what we know as Nollywood. So in support of that there will be screenings of films that are by some of the directors that I’ve interviewed in my book and also which are of genres or cinematic styles that don’t conform to the typical Nollywood style. There will also be some discussion and Q&As. From the outset I was clear that I wanted to create an event where people could come and engage with film and have the opportunity to discuss what they’ve seen on the screen as well the book’s content in more detail. What features of the films shown do you feel deviate from typical Nollywood productions? Well the focus of my book which has kind of given birth to the weekend, is the emergence of a new class of content in the Nigerian cinema space. It includes animation films, documentary films, Nigerian diaspora films, music videos and high concept Nollywood films. What I talk about in the book and is reflected in the weekend is that we now have a new class of films which are not of the low budget, shot in a couple of weeks pattern. They’re going for much higher budgets, they’re going for the festival circuit and theatrical releases etc., so there’s quite a different aesthetic and approach in the way that they have made their films. Why do you think that up until recently, most Nollywood films have conformed to low budgets and limited shooting times? It’s down to some of the original producers and marketers, who have been involved since the early 90s. A lot of them principally were traders. They went into the industry for economic reasons so they wanted to maximise profit and reduce the amount of time that was spent making the product, so that’s how that model emerged. Out of all the works being screened over the Beyond Nollywood weekend, do you have a favourite? I was really touched by B for Boy when I saw it at the London Film Festival last year. I found the narrative and the characterisation very compelling. Also to me it was an example of an indie film as I know it, in terms of independent cinema that I’ve seen across the world not necessarily from Nigeria. Also I think the fact that’s it’s an Igbo language film, to my mind the indigenous language made the performances much more realistic and much more believable. Nigeria’s official language is English but somehow when it comes to indigenous language films there seems to be more of a flow and the reactions and body language just seem to be much more convincing. Your book is titled Beyond Nollywood. Outside of the film festival circuit do you feel that Nigerian or African-Caribbean films in general get recognition by international cinema goers? People who come to the Beyond Nollywood talks, screenings or launch of the book will be surprised that certain things are happening in the industry that they either didn’t know about or didn’t connect the dots with. Probably not. There are titles which have risen to the top within the festival circuit like Flower Girl or Confusion Na Wa, but even within that sphere we don’t see as many African or Caribbean titles as someone like myself would like. But I would say aside from the communities that patronise these films, no there isn’t a great deal of recognition for the industry. Occasionally you have a break out film like Half of a Yellow Sun where it has something unique about it that means it garners a wider interest. But that’s quite rare. I think audiences or fans who are aware of the Nollywood genre are appreciative. I think unfortunately for independent films as a whole they’re struggling against the Hollywood blockbusters really. It’s largely the way the industry is set up. The further away you get from dominant English speaking, western, white culture, the more challenging it can be. Bollywood is a great example of how a community which has films in a foreign language has been able to have significant positioning in terms of theatrical releases. Obviously that’s because they have a loyal worldwide community who will go the cinemas and patronise that sort of fare. I would say it’s just the way that industry is set up where most of the cinemas chains service Hollywood films. Have you always worked in the film industry? I have for the last ten years. Before that I did community development work for most of my working life. I started out in the industry as a sort of hobby, I started running the Black Filmmaker’s Film Club at the Institute of Contemporary Arts in 2003. It was an unpaid position that I did out of interest, it’s only in recent years that I’ve relied on my film sector work as more of a career. Do you see community development as linked to working within the arena of independent films? Yes, in the sense that I’m an advocate of having diverse audiences attending films that they perhaps wouldn’t normally go to. I also have tried to champion the work of filmmakers who may not have the means or the knowledge of how to get their films on certain platforms. So in that sense it has informed the work I do now. Do you feel there is anything that film as an artistic medium can express that others medias cannot? I’m a big champion of films simply because I feel it’s a medium that everyone engages with. I’ve met a lot of people who might not read books or even listen to music much or wouldn’t go to the theatre but everyone generally has a favourite film. A lot of people have been influenced by things they’ve seen in films. Whether it’s a well-informed documentary or even a powerful narrative, I feel film is the only artistic form out there that can leave someone with a radically transformed view within 60 to 90 minutes as a result of what they’ve seen on the screen. So I see film as being the most powerful of all artistic forms. Based upon the title of your new book, do you feel being a Nigerian filmmaker is different to being a filmmaker of any other nationality? I don’t think it is necessarily, in that I think independent filmmakers face the same challenges internationally. In terms of the Nigerian specific, there’s two reasons for that. One is that I’m a big believer in niche markets and I believe that whilst we have globalisation I think we also have lots of people who want things specific to their region or to their culture and what resonates with them. I also think in the case of Nigeria there are some specific social, cultural and historical particulars that mean that the way that those filmmakers approach their work has some clear variations. For them to read a guide that’s written from a European perspective or even a South African perspective is not necessarily going to apply to them. There are obvious little factors such as in terms of getting funding, a lot of companies would not give funding by using a credit card because of the 419 scams as they’re called. So people may not be so receptive to donating online in Nigeria as they would be in the west. Even things like emailing; a lot of my interviewees had to meet me first before speaking to me, few interviews could be conducted that way, which is a cultural thing. So there’s a lot of typical elements which don’t apply. Being too general is not too helpful in any context as there’s always going to be regional differences. Why should people attend the Beyond Nollywood weekend? Because they will be finding out things about the Nigerian film industry that they generally didn’t know. I can guarantee that people who come to the talks, the screenings or the launch of the book will be able to see and find themselves surprised that certain things are happening in the industry that they either didn’t know about or didn’t connect the dots with.